I am here to tell you that taking the CDL skills exam is not “do or die”. Failing does not make you some loser who will never be a trucker. And once you accept that, the exam will be so much less stressful and you can learn from your mistakes. I went with a company sponsored program whose permit holders go OTR with an instructor in the seat next to them, picking up and delivering loads all over the country. That's right, after four days of orientation, and one day of backing maneuvers and local driving, I headed out for my adventure! A few times I wondered what I got myself into when driving at night, through dense fog and hills in the rain. The construction was scary as other trucks flew around me, and a FedEx truck hit my mirror on my third day of driving. After driving nearly 10,000 miles in three weeks through St. Louis, Detroit, Atlanta, and New York/New Jersey traffic, my instructor brought me back to test. I was confident until we hit the backing pad for a second time. I just couldn't grasp the concept and realized that if the trainer was not in front of the truck, I had no clue what to do. I came to the company already having used the High Road Training Program for the permit, and Apex Driving School pre-trip inspection video for the pre-trip inspection. I was always a defensive driver, and my instructor was overconfident in my backing abilities. He convinced me I was just nervous, and I tested. I passed the Pre-Trip test on the first try, but I knew I would. Then I failed the backing, but I knew I would. I had this misconception that I would get on that pad and miraculously know how to do those maneuvers. Everyone else was doing them, especially those good 'ol boys from the south whose Daddies had tractors on farms hauling crops with flatbeds. Being from Jersey, my first thought was that I could bribe one of them to take the exam for me! At that point, I alerted my company I would not test again until I got more backing instruction. The instructor and his Fleet Manager were not happy, but this was my life and economic situation at stake. When another instructor showed me his reference points, I got that trailer in the hole every time, without any points. Eureka! I can do this! I tested, nailed the backing and headed for the road exam. At the very first intersection, I stalled the truck and failed automatically for impeding traffic. The examiner made me drive the entire 11 mile route before telling me I already failed. The instructor took me driving around town again that night. I tested again, and this time the examiner threw his clipboard on the dash and said, “Wow, this is going to be the easiest test I had all week. You are a great driver.” I got to the very last intersection, and stalled the truck. Impeding traffic—automatic fail! I was so devastated, I cried hysterically on the examiner's shoulder. He held me and tried to console me, “You are an incredible driver. You just need to handle the clutch, but I know this isn't the truck you trained in. If you fail tomorrow, you can't test again in Missouri. Go home or to another state, test and come back to Prime. I'd even give you a reference because you are going to be a fabulous driver any company would want.” He thought it was no big deal, I thought it was the end of the world. It wasn't. The next day after more road work, I passed with one of the best scores of the week. One of the other drivers testing that day passed all three exams on his first try. The difference was, he was terrible on the road exam and would have failed with one more point. The examiner told his trainer, “This one is going to need a lot of work.” However, we both had CDL's now, so we were equal. Flash forward over two years, and not only am I a top driver on my Fleet Manager's board, but I'm a team trainer. I have never been late to an appointment, something for which my company compensates nicely with money, jackets, rings, duffle bags, and a weekly bonus. I reached 2 years accident free for which I also receive jackets and a weekly bonus. During my training class to become an instructor, I ran into the examiner whose shoulder I once cried upon. He smiled and said, “See, I knew you could do it.” The guy remembered me 18 months later—maybe because most students don't cry on him, but he remembered. So what if it took me a few tries to pass the backing and road test years ago? Who cares? A couple weeks ago, I went to our terminal to pick up a student who was testing out. I only train for the teaming portion of our program, but wanted to be ready for the trainee when he passed. He passed the pre-trip and failed the backing. He then failed the backing again, and failed the road test twice. My company gave him the necessary additional instruction he needed to pass the final test. Perhaps he thought I would no longer want to train him because of the “stigma” of being a loser. He would have been wrong. When we got on the road, I was quite impressed with his backing abilities. It took me a year to back that well. His upshifting was great, but downshifting needed work. I can see his frustration, but that is the point of training. I didn't expect him to come out of the womb shifting and backing. Just like any other driver, he needs lots of practice to shape his new learned skills. He has a great attitude, and asks questions because he wants to learn. Unlike some newbies, he listens and is learning from his mistakes, but again, it will take time. My point is that how many times one fails the exam is not important. Due to state laws, you may be limited on how many times you can test in a given period of time. But that does not mean you cannot find a way to test in another state after more practice. It doesn't mean you cannot ask for additional help before your “do or die” last test. And it does not mean you will be marked for life if you have difficulty passing the test. Someone who passes on the first try could be a lousy driver overall once solo. Someone who failed a few portions could be an outstanding driver once solo. It is all about how you apply yourself. Unfortunately, we all let our nerves get the better of us. I know my brain did not want to function on that backing test I failed. By my final test, I felt like I was on a first name basis with the examiners and my nerves were much more calm, then I aced it. My new trainee was in the same situation, nerves got the better of him. Out here in training he is much more calm and I know he will make an excellent solo driver eventually. We have already done 4,000 miles together and he is improving considerably. 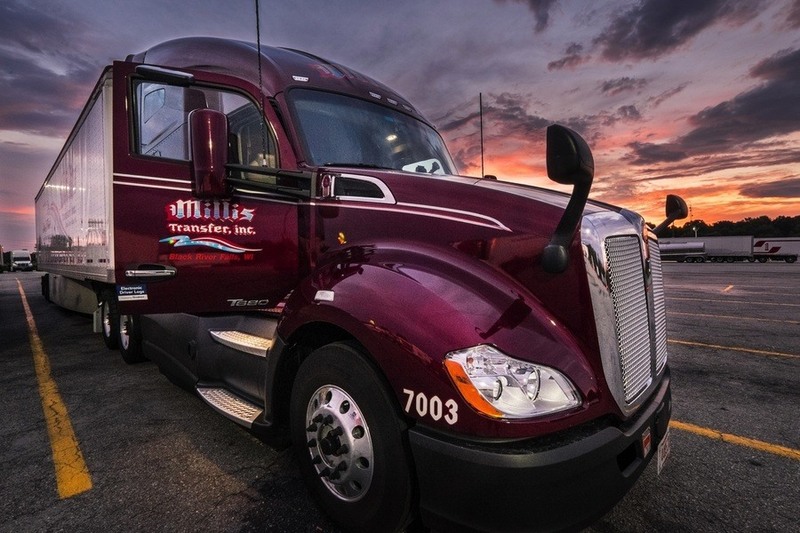 Do not make the mistake of thinking the CDL gives you all the knowledge you need. Many become overconfident when they get that piece of plastic in their hands. That CDL gives you the very basic knowledge of driving. Once you finish training and take the time to keep learning after going solo, no one will ever know or care if you failed. I often laugh when I see posts on the forum when new graduates say, “I passed my exam on the first try and was the top in my class.” Big deal, who cares? What I want to know is if you aren't going to kill me when I go to sleep during your training. The “best in class” can often be the “worst on fleet.” It is all about proving yourself over time and learning from your mistakes. If you think you are already the best, you won't try to improve. Stay calm, ask for help, and stay safe!